In February 1709/1710 Spotswood was named Lieutenant Governor of Virginia by Queen Anne. Leaving from Spithead on the man o' war HMS Deptford under the command of Captain Tancred Robinson, Lieutenant Governor Alexander Spotswood sailed away toward a new life in the Virginia Colony. Having survived serious injuries at the Battle of Blenheim and time as a prisoner of war, Spotswood may have looked forward to a quieter time. The HMS Deptford left the English coast shortly after April 3, 1710, traveling in convoy with the HMS Bedford and several merchant ships. Traveling with fifteen servants, his secretary, his doctor and his official hostess, Spotswood first set foot on Virginia soil at Kecoughtan (Hampton, Virginia) on June 20, 1710. The next day Spotswood sailed on the HMS Bedford commanded by Captain Lee up the James River to Jamestown and stopped to spend the night at Green Spring, the estate of Lady Berkeley, widow of Sir William Berkeley. 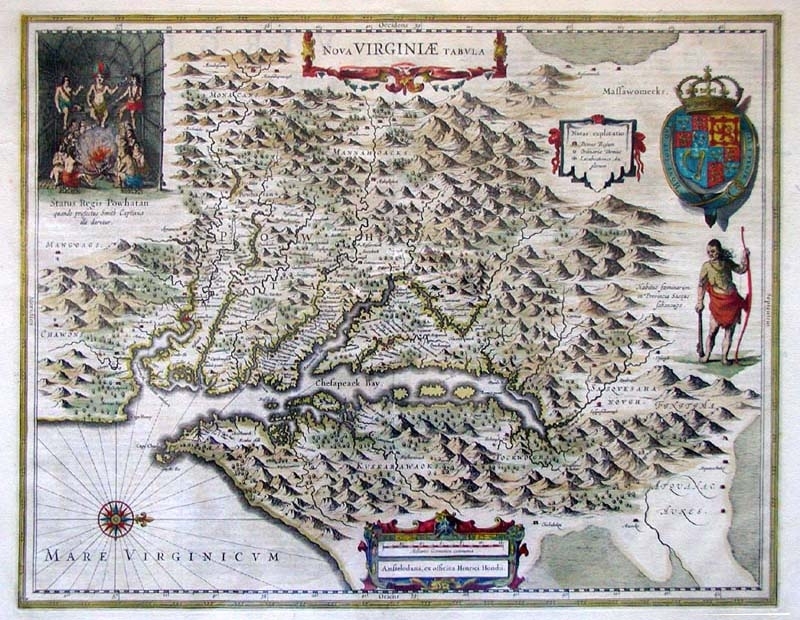 Spotswood then traveled overland to Williamsburg, Virginia, arriving June 23, 1710. Immediately upon his arrival in Williamsburg, Spotswood and the Council proceeded to the General Courthouse where the commissions were read by Her Majesty's Attorney General. They then returned to the Council Chamber where the Lieutenant Governor took the oaths appointed by Act of Parliament and the oath appointed by the Act of the 7th and 8th of King William for the observation of the Acts of Trade. The members of Council also took the various oaths of their office. Serving at the time of Spotswoods' arrival were Edmund Jennings, Philip Ludwell, Dudley Digges, Henry Duke, James Blair (Commissary), John Smith, John Lewis, Esq., William Byrd, Esq., Robert Carter, Esq., and William Churchill, Esquire. The Council had become accustomed to making decisions independently of a governor since Spotswood's predecessor, Colonel Robert Hunter, had been captured by the French on his way to the Virginia Colony and held in Paris, France, until his release could be arranged. Colonel Hunter was later appointed the governor of New York. Spotswood arrived in Williamsburg to a Governor's home still unfinished although construction had begun in 1705. Initially, £3,000 was allowed for construction of the home that came to be known as the Governor's Palace, a designation not entirely complimentary. The final cost was in excess of £6,000. While the Governor's Palace was under construction, Spotswood rented a home with the housing allowance granted him £150 per year. Interestingly, Spotswood's housing allowance actually began in January of 1709/1710 although he didn't arrive in Virginia until June 20, 1710.